Overproduction of B2B Marketing Video - worse than no production? If you follow trends in content marketing you are well aware that great B2B marketing, even for manufacturers of industrial products, increasingly incorporates various visual content. Not everyone consumes content or digests information the same way. Some folks want to sit down with a dense whitepaper and a bud (OK - maybe a cup of coffee) while others want a snapshot from a well-designed infographic and/or a couple quick video clips that simultaneously entertain and inform. Content performs two key roles for your marketing. It provides the broad base that helps lots of folks find you. And then it educates them and helps build a virtual dialog. So point one above is about the comfortable dialog, but to make it easy to be found, you need to feed the search engine beast with a variety of content distributed across channels. Simply put variety will drive better results. Video content gives you special opportunities for optimized indexing. Post a video and the search engines won't necessarily (at least yet) know quite what to do with it. Include appropriate optimization in the script that you post with it, and voila - awesome optimization. Visual content, and particularly video, allow you to convey your company's character that can't be as richly presented through documents. Even eons ago (2010) Forbes Insights found that C-suite executives were more likely to share video with colleagues, and 60% were more likely to watch a 3 minute video than to read an entire webpage. Seriously. Nobody cares about your product per se. They don't. This is a fundamental tenet of good B2B marketing. Even engineers that clamor for all sorts of stats really want their problems fixed and their business improved. The stats and specs are merely tools to ensure the solution is legitimate. So it stands to reason that your videos shouldn't be about product either then - at least directly. After all, motor oil isn't about slippery liquid, rather it's about extending the life of your substantial automobile investment. And if folks are looking for solutions to vexing business challenges with which you can help them - then you actually do them a disservice just yammering on about your product and leaving it to them to serendipitously extrapolate how your product might help them. Don't leave it to chance. Your videos need to give prospects insight into you and your company. This doesn't mean to babble about the company - rather to allow your tone & demeanor to convey the culture. And your videos must speak to their business challenges - the specific circumstances and conditions which will compel them to seek your solution. You need a script (unless you are prepared to waste people's time....once) to help concisely convey the message of the 'pain' you alleviate and the value you provide. But make it conversational. Imagine chatting over a cup of coffee with a prospect visiting your office - and distill that conversation into a series of video vignettes of 2 minutes each. The risk of 'paralysis by analysis' far outweighs the small risk of mediocre content. If you overthink it you'll find countless reasons to put it off, research it a bit more, wait until you upgrade the camera, search for a microphone or even wait until the light is Ken Burns perfect. If you wouldn't waste a prospects time chatting in person - you won't here. Be as helpful and friendly to the camera as the prospect sitting in front of you. And make sure you actually get it done! 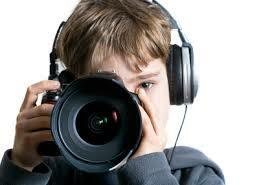 Use a digital video camera, a digital SLR or even your iPhone or iPad. Make sure you have a good microphone and some decent lighting. (The folks at Wistia have lots of great resources on technical tips and tricks here.) And capture several takes until it flows conversationally. Slice it and dice it a bit, add some music, maybe toss in a couple titles and images, and if you want to hit it out of the park, drop in a Call to Action at the end. And then get it up on YouTube, embed it on your site and share it! This is about points 1-4 above. You're not auditioning to be a 60 Minutes producer. You're trying to have a conversation with lots of people about how your product can help solve a problem they have or improve their situation. Authenticity is far more powerful that super slick production. Authentic brief video is something you can crate prolifically in house - so you'll actually use video appropriately and effectively. Overproduction, on the other hand, compromises authenticity and makes each video such a huge project that you'll simply give up. So you see, they are all about the "product"...but only tangentially. And with you and your colleagues (from all departments) sharing the dialog prospects will come to appreciate the value you provide. But please promise that you'll never just set up a tripod and focus on your product. Want to learn more about how you can leverage digital marketing for your B2B business development? Check out our guide here.